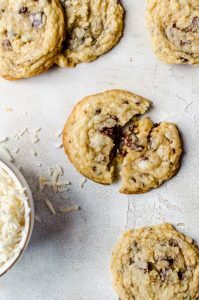 These coconut chocolate chip cookies are packed with coconut flavor and will fill your kitchen with the wonderful aroma of chocolate and coconut. 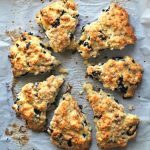 A delicious twist on the chocolate chip cookie! I have a serious love affair with coconut. There was a time in my life when I bought coconut everything. 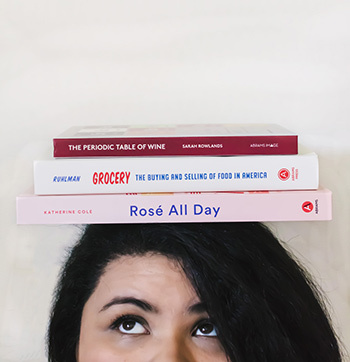 Plug-in air fresheners, lotions, beauty products, and any coconut-flavored bit of food took all of my budget as a college student. I never quite got over how much I love coconut since then. I’ve been making these coconut chocolate chip cookies since my college days when I swore I wanted to learn how to make all the things and be more like Martha. They’ve always been pretty popular among my friends and my family. 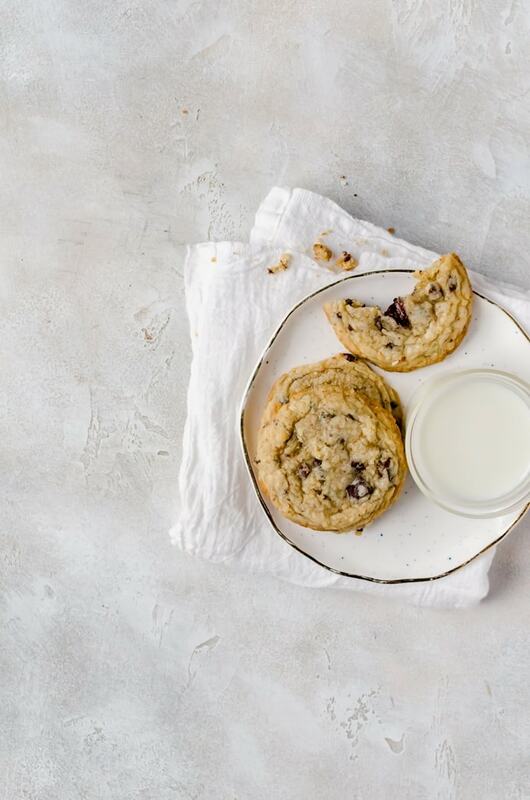 These coconut chocolate chip cookies are like biting into a buttery piece of coconut heaven. 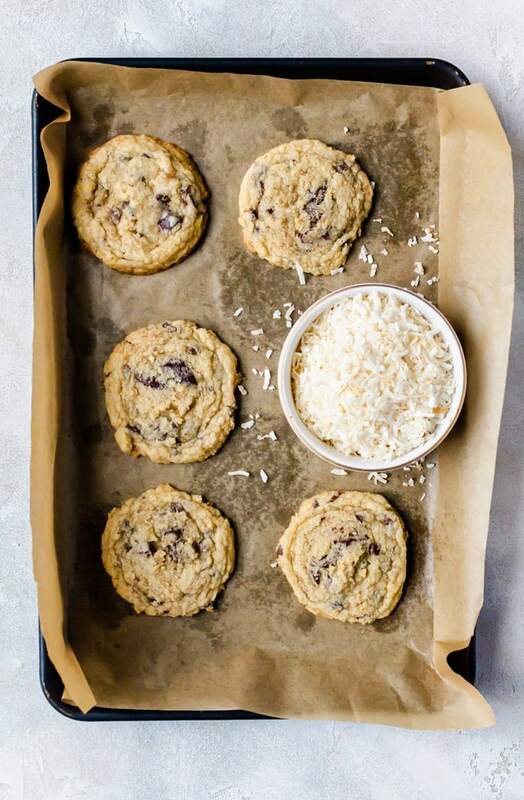 What you are going to love about these coconut chocolate chip cookies is that they are irresistibly chewy with crisp, buttery edges. The coconut adds the most amazing sweet nuttiness to this otherwise traditional cookie. These are truly the most irresistible cookies ever and I promise you won’t be able to stop at just one. It is really important to use unsweetened shredded coconut as you will get a more pronounced coconut flavor this way. Beating the toasted coconut into the butter and sugar helps intensify that coconut flavor throughout the cookies. It is what makes these coconut chocolate chip cookies amazing. If you only have sweetened shredded coconut, I would recommend adding just half a teaspoon of coconut extract to help intensify the coconut flavor – although using coconut extract with the unsweetened coconut won’t hurt you at all. In my original recipe I used regular chocolate chips, but I’ve recently fallen in love with using chopped dark chocolate in these cookies. The chopped chocolate gives you flecks of chocolate in every bite as well as pockets of warm, pools of chocolate. It’s really something incredible! Crisp outside and beautifully chewy on the inside with warm coconut throughout. These coconut chocolate chip cookies are everything. Place the coconut in a skillet and toast until most of the coconut is a light golden brown. Stir frequently. Allow to cool. Cream the butter, both sugars, and toasted coconut until the mixture is light and the coconut flavor is infused with the butter - about an additional 4 - 5 minutes. Add the eggs, one at a time to the batter. Beat well between each addition. Add in the coconut extract if desired, then add in the vanilla extract. Slowly add the flour in thirds until it is fully incorporated in the batter. Fold in the chocolate chips by hand. Chill the dough in the refrigerator for approximately 30 minutes, preferably 1 - 2 hours or overnight. Preheat the oven to 350 degrees F. Line a baking sheet with parchment paper. 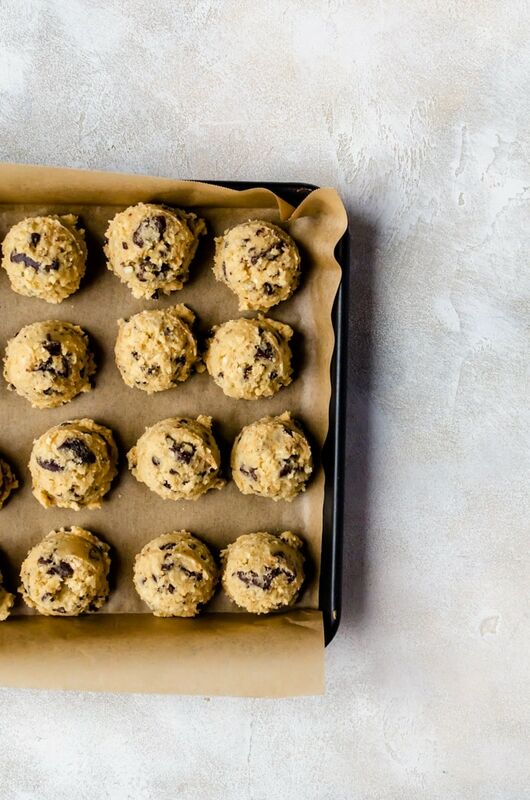 Roll the cookie dough into balls that are 2 tablespoons big. 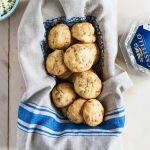 Line the balls on the parchment paper about 2 inches apart and bake for about 10 - 12 minutes, or until the edges are golden and crispy. Allow to sit on the baking sheet for a minute before transferring to a wire rack, then allow to cool completely. Store in an airtight container for up to five days. These look amazing, can’t wait to try. You’re photography is beautiful! Thank you so much! Please let me know how they turn out if you make them! mmm coconut chocolate chips cookies. Perfect combo. This is my favorite:-) yummy. The cookies are tasty. However, Step 4 does not differentiate brown sugar from white sugar. You are right, thank you for pointing that out! 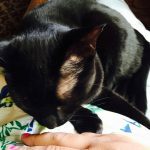 I am fixing it now! Just made these and they are delicious! 🙂 I did add in some pecans to it and i love them. Thanks for this great recipe! I’m so glad you enjoyed them! Pecans sound like a great addition!! I must try it next time! !